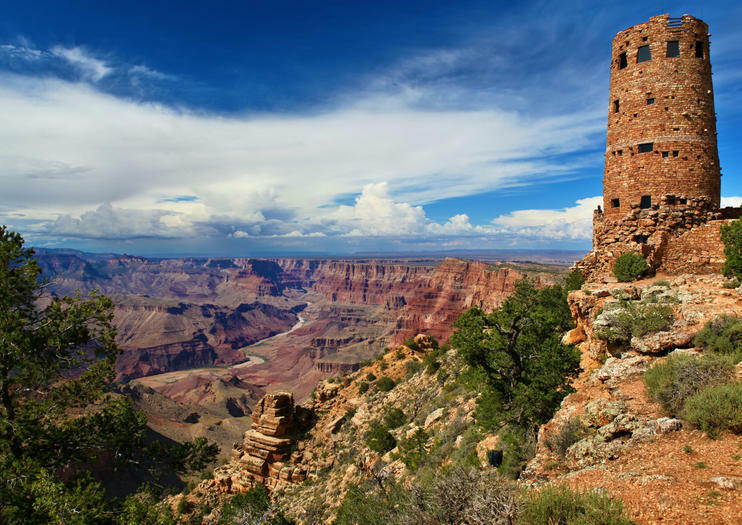 Officials at the Grand Canyon say they're expanding programming at a historic watchtower where visitors can learn about Native American culture. The Desert View Watchtower near the east entrance of the Grand Canyon. The National Park Service's Intermountain Region signed off on the plan last month. The 70-foot (21-meter) watchtower was built in the early 1930s by famed architect Mary Colter. Stone covering the National Historic Landmark hides the building's steel frame.